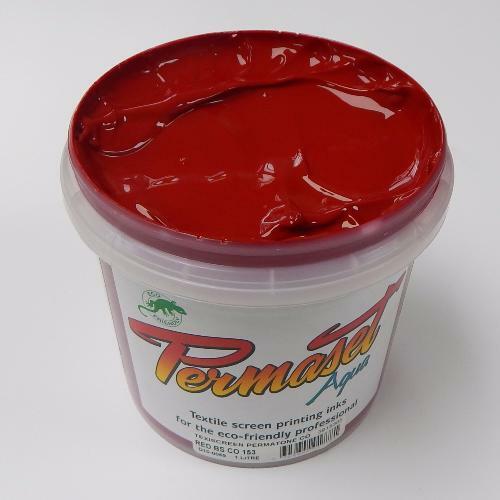 Permaset Aqua Permatone is a revolution in textile screen printing inks. Based on carefully selected pigments and the latest advances in polymer technology,Permaset Aqua delivers pure colour, a superior soft handle and excellent durability in an easy to use ink that is environmentally friendly. Permaset Aqua Permatone includes both regular (transparent) and SuperCover (opaque) ranges together with 4 Metallic and 4 Process colours (CMYK) and a range of ancillaries. Each range includes 8 "Glow” fluorescent colours and also a Print Paste. Permatone is a colour management set designed for colour matching. The system can produce facsimiles of 950 PMS colours. As a water-based product, equipment is easily cleaned with water. After heat fixing, prints exhibit excellent wash, rub and dry-clean resistance. Permaset Permatone has granted approval by the Soil Association in the UK, having successfully met the requirements of the Global Organic Textiles Standards (GOTS) for non-organic chemical inputs for use in organic textile processing. The products in the Permatone range covered by the Approval include: Permatone Black, Permatone Blue, Permatone Extender, Permatone Green, Permatone Magenta, Permatone Orange, Permatone Red B/S Carmine, Permatone Red Y/S Scarlet, Permatone Violet, Permatone White, Permatone Yellow G/S Primrose and Permatone Yellow R/S Golden Yellow plus SuperCover First Down White. Permatone inks are 100% solvent free, yet still deliver really pure, vibrant colour, an exceptionally superior soft handle and excellent durability. They are also the first range of textile inks outside the UK to obtain this Approval.